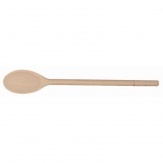 Have a look at our extensive range of spatulas, ladles and spoons; essential items for all busy kitchens. Traditional wooden spoons are available in various styles and sizes, and from Matfer Bourgeat we offer stainless steel mixing paddles. 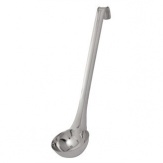 There are also ladles for every conceivable purpose, together with spatulas, spoonulas and serving spoons.